Sriram Parasuram was apprenticing with Citibank in the late 1980s soon after his MBA from IIM-Calcutta when he sensed corporate culture wasn’t something that would let him be comfortable in his own skin. Coming from a background in music, he didn’t enjoy the beginner’s routine at the financial services multinational—not because of overwork, but due to its mismatch with the essence of what he had learned so passionately at the top business school. Sriram’s US stint saw him complete his Master’s in western violin performance and go on to do a PhD in ethnomusicology from Wesleyan University, Connecticut. “By then, I had also realised that my prime interest lay in Indian classical. I returned to my country,” says the artiste, who subsequently emerged as a Hindustani vocalist after training under late Pandit C.R. 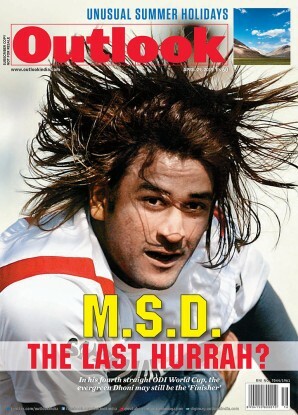 Vyas. “Post MBA, I became increasingly fascinated with western classical and left for America on a fellowship,” says ­Sriram Parasuram. Sriram, who teaches at Madras Music Academy and Kalakshetra, keeps alive a parallel track with popular music. His Hindi album Savariya (2000) has been a big hit, while he directed and performed with ensembles, giving background score to two 1920s sil­ent films for their relaunch. He also headed Karadi Tales Company, which comes out with music albums for children, and his 1996-2002 stint as executive director of Sampradaya had the Ford Foundation-supported institution prolifically archiving the musical traditions of the Deccan. Busy holding workshops around the globe, he collaborates with ethnic musicians globally—be it Japanese Koto, West African drumming or Javanese Gamelan. Art buffs believe Mallika Sarabhai’s MBA has contributed to the way she plays her role as administrator of the Darpana Academy. One-and-a-half decades before Sriram had done his MBA, a ­multi-faceted performing artiste from western India had completed her business management course from an equally prestigious institute. A dancer, theatre-person, film act­ress, social activist and entrepreneur, Mallika Sarabhai had passed out from the IIM in her city Ahmed­abad in 1974. The Padma Bhushan awardee is a Bharatanatyam and Kuchipudi exponent, and heads the Darpana Academy of Performing Arts on the banks of the Sabarmati river. The iconic institution, which imparts training in dance, drama, music (vocal and instrumental), percussion and puppetry, was set up in 1949, five years before Mallika was born. Its founders, the Sarabhais—space scientist Vikram and choreographer Mrinalini—had env­isioned Darpana to mirror their country’s diverse cultures. That principle of inclusiveness is something Mallika, armed with a doctorate in org­anisational behaviour, continues to imp­lement. “A lot of new talents seldom find the right stage,” she says, pointing out why Darpana has been hosting a young artistes’ festival for the past seven years at Natarani, the acad­emy’s state-of-the-art amphitheatre. Art buffs believe Mallika’s tryst with MBA has made at least some contribution to the way she plays her role as a successful administrator of Darpana. “You can make a classical dancer do contemporary dance, but the other way round is not possible,” says the ­artiste, celebrated for her arterial role as Draupadi in Peter Brook’s 1980s epic play Mahabharata, which also helped fuel her activist spirit. “I began to think more about the power of women and how the Puranas have made us look at them.” For all her inn­ovative ventures on the stage, classical dance is her “battery charger”, which enables her to “fuse it into other forms like ballets and plays”. Former ISRO chairman K. Radha­krishnan, another Malayali with an MBA (from IIM-Bangalore), is a trained Carnatic vocalist and occasio­nal Kathakali performer. Upcountry, Delhi’s Yamini Reddy, 35, is a well-known Kuchipudi dancer with an MBA. “I did the course, also because my mother insisted,” says the daughter of the celebrated danseuse couple Raja-Radha Reddy. Quite a few others in the young crop of famous classical dancers and musicians with academic qualification in management hail from families with an art heritage. Examples include C.R. Vyas’s santoor-playing son Satish Vyas, sarangi artiste Harsh Narayan, whose grandfather is the instrument’s contemporary patriarch Pt Ram Narayan and whose father Brij Narayan plays the sarod, and Hindustani singer Pallavi Joshi, granddaughter of late ­vocalist Gajananbuwa Joshi. In the south, similarly, Carnatic has MBA holders in vocalists Madurai R. Sundar (nephew of musician Ananthalakshmi Sadagopan), T.N.S. Krishna (T.N. Seshagopalan’s son) and Mahadevan Sankaranarayanan (T.V. Sankaranarayanan’s son). So are violinists M.S. Ananthakrishnan (son of M.A. Sundaresan of the Parur bani), Ambi Subramaniam (violin wizard L. Subramaniam) and saxophonist G. Guru Prasad (Kadri Gopalnath). Hindustani instrumentalist Bhajan Sopori’s santoor-playing son Abhay Rustum left MBA for music, while Chennai’s Sriranjani Santhanagopalan (daughter of vocalist Neyveli Santhana­gopalan) was “so overwhel­med” by Carnatic by her late teens that she gave up her plans to do a business mana­gement course. Noted vocalists Vidya Subramanian, Manasi Prasad, Nikhil Shankar and Vyzarsu Pavani (veena), Sai Narasim­han (flute), R. Ramkumar, Nirmal Narayan, Shubha Chandravali and Harinarayanan A.M. (mridangam) are MBAs. Carnatic pianist Anil Srinivasan holds a management degree, so does his collaborator singer-guitarist-­composer Vedanth Bharadwaj. Prathibha Parthasarathy, who straddles genres from Carnatic to rock, has done a business management course, as has Sunitha Hari, a classical vocalist and dancer. 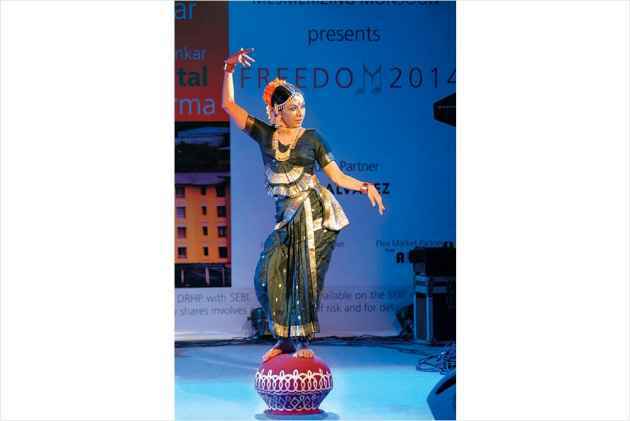 New York-based Anuradha Sethuraman of IIM-B performs both Bharatanatyam and Kathak. Danseuses Madhulita Mohapatra, Bidisha Mohanty, Shreyashi Dey, Shatabdi Mallik and Suprava Mishra are among the MBAs in Odissi. Further eastward, Warda Rihab studied Mani­puri dance at Rabindra Bharati before doing an MBA from Dhaka University in her native Bangladesh. Among Hindustani musicians in the category are Ashim Chowdhury (sitar), Soumya Chakraverty, Sabyasachi Bhattacharya (sarod) and Abbas Janmohamed (tabla). The list is long.